Mae S. Martin, age 74, of Schooler Lane, Cumberland Gap, Tennessee departed this life on Saturday, March 30, 2019 at the University of Tennessee Medical Center in Knoxville, Tennessee. She was born on March 21, 1945 in Whitley County, Kentucky to the late John Wesley and Dora Clarinda (Siler) Smith. She was also preceded in death by a brother, Johnny Lee Smith; her grandparents, Claude Patton, Eva Bryant and Grover and Nannie Siler and a nephew, Richard Wesley Smith. Mae was a member of Clearfork Baptist Church and the Eastern Star of Jellico, Tennessee. 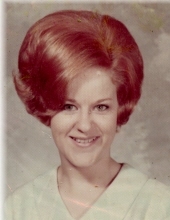 She is survived by her husband, David Martin of Cumberland Gap, Tennessee; brother James A. Smith (Ioma Pete) of Williamsburg, Kentucky; nephew, Steven Todd Smith (Donna) of Robbins, North Carolina; niece, Sonya Smith Cathey (Justin) of Greenville, Texas; and a host of other family and friends to mourn her passing. Visitation will be after 5:00 P.M. on Thursday, April 4, 2019 at Croley Funeral Home. The Funeral Service will be at 1:00 P.M. Friday, April 5, 2019 at the Croley Funeral Home Chapel with Rev. Chuck Broyles officiating. Following the Service she will be laid to rest in the Clearfork Baptist Church Cemetery. To send flowers or a remembrance gift to the family of Mae Smith Martin, please visit our Tribute Store. "Email Address" would like to share the life celebration of Mae Smith Martin. Click on the "link" to go to share a favorite memory or leave a condolence message for the family.